New director: Sr Maeve Heaney will run a new centre in Brisbane specialising in short course on theology. GROWING demand for studying theology has prompted Australian Catholic University to set up a centre in Brisbane specialising in short courses and tailored professional learning. The new Xavier Centre for Theological Formation will launch on August 3, and will operate nationally. “Rather than thinking of theology as something that is just a degree that you do when you are training to be a priest, there’s a recognition that any committed, any formed Catholic, is going to want to learn some theology at some point,” the centre’s new director Verbum Dei Sister Maeve Louise Heaney said. 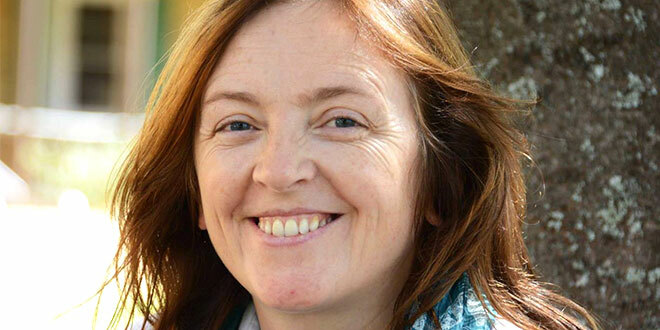 Sr Heaney will expand her role as director of theological formation for ministry at ACU to run the centre, which will provide formation to a much broader group of people. The Xavier Centre will offer theological formation opportunities for laypeople, religious and clergy across Australia. Opportunities will include short courses, in-service programs and international study tours, as well as professional doctorates and research degrees. Sr Heaney said the demand for theological formation from people outside degree courses had gone from a few calls a year to a constant stream. There is a particularly strong demand within the education sector for theological formation for teachers, as well as calls for support from the health and welfare sectors, and those involved in pastoral and religious work. The Xavier Centre will partner with organisations outside the university such as education providers to offer theological formation that is tailored for their needs. “The aim would be to dialogue and partner with what is working, and to come and help with what is more in need,” Sr Heaney said. She said the work of the Xavier Centre would be, in part, a contribution towards the Church’s Plenary Council 2020, and a response to the question “what sort of formation do we need post-Royal Commission”. “Laypeople need theological formation, and seminarians need to do theological formation alongside laypeople,” Sr Heaney said. Subjects on offer will include biblical studies, systematic theology and Christian thought, moral theology, practical theology and ministry, studies of religion, ancient languages, church history, liturgy, and sacraments. The centre will offer a context for individuals and communities to reflect on faith and service through engagement with scripture, theology, spirituality, supervision and leadership. The first course will be a one-day intensive on August 4 at Banyo. Entitled Reflections on power and authority in today’s Church, the course will be led by Professor Richard Gaillardetz, Joseph Professor of Catholic Systematic Theology at Boston College. Registrations are open at acu.edu.au/xaviercentre.